Harrat Kishb volcano is a 5900 sq km volcanic field in central Saudi Arabia, east of the other N-S-trending chain of Harrats. The volcanic field contains basaltic scoria cones, tuff rings, maars, lava domes and lava flows. 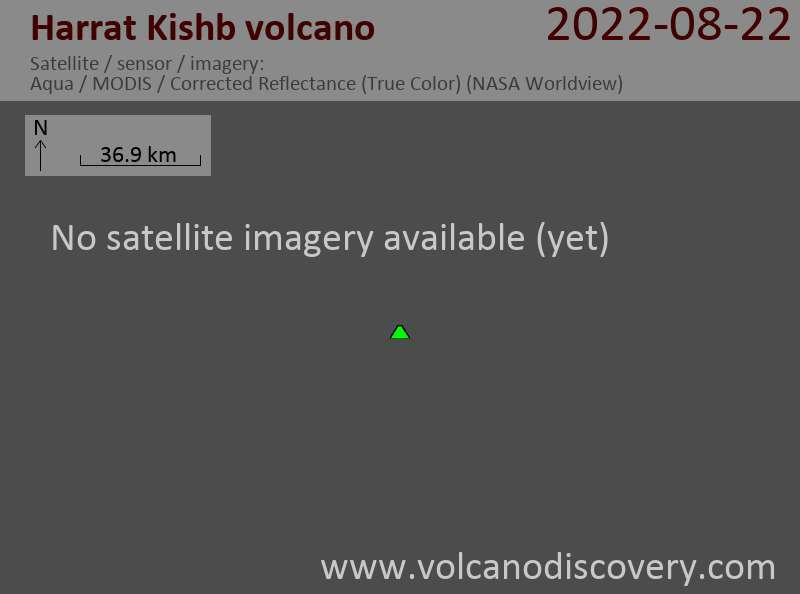 Most of the Harrat Kishb volcanic field is of Pleistocene age. Young Holocene flows are restricted to 3 areas in the western half of the field. Jabal Aslaj cone and its associated lava flows contain abundant granitic blocks from basement rocks and ultramafic nodules. Jabal Hil is a large scoria cone with a 300-m-wide crater that was filled and overtopped by a lava lake. The lava field contains a number of lava tubes, including Ghostly Cave (Kahf Al Ashbaah) and Kahf Al Mut’eb as some of the most known ones.